Nothing soothes your nerves like a nice cup of tea. 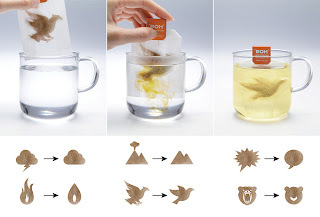 And now you can visualize your stress literally melting away from your tea bag. 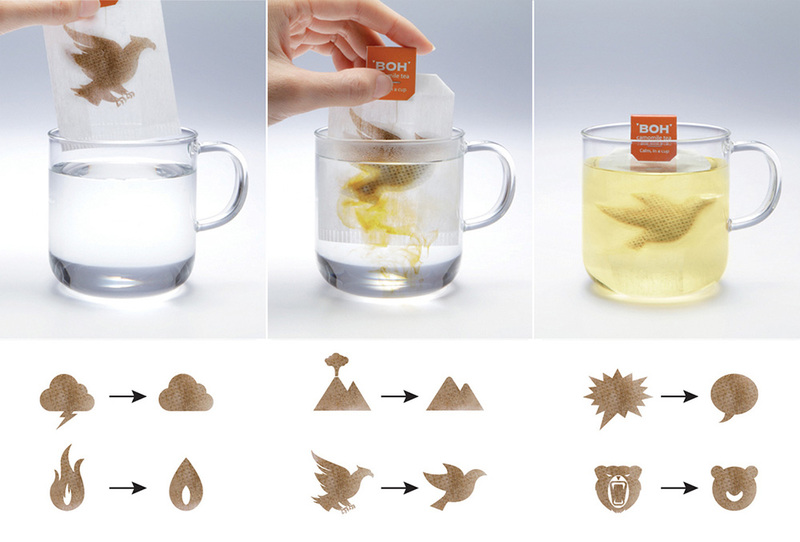 To market the calming effects of its chamomile tea, BOH created tea bags that show a stressful or agressive image, utilizing edible ink, that partially dissolves in the hot water to reveal a more peaceful version of that image. Pretty clever. These teabags are very amusing and really does generate positivity. I love the bear tea bag and the dove. Such a brilliant idea! Unfortunately, 99% of people I know don;t use a glass cup to drink tea from. hmmmmmm?/? So true about the glass mugs! Maybe the company could sell big packs of their tea bags with one glass mug to really highlight the creativity of their product. Either way, the concept is a fun one! Innovations in tea are happening all around us!